Herb Garden @ Yio Chu Kang, originally uploaded by rockabella9. 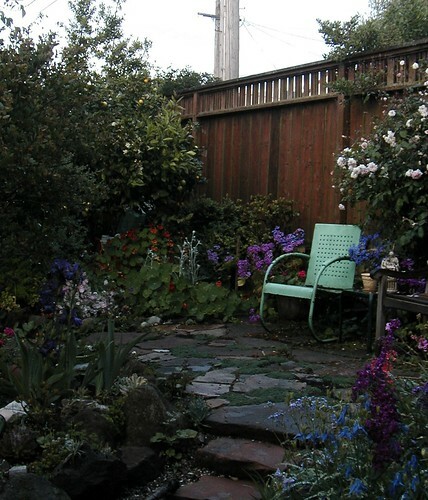 Living in apartments my entire adult life, I have spent a lot of time looking down into backyards or courtyards imagining what my garden would look like if I had the opportunity to redesign the space. Right now, I live in an old eccentric french inspired Victorian. The backyard is fairly big compared to other yards I have had. It is fenced in on two sides and surrounded by other buildings. There is a tiny brick patio and miss matched bushes and empty pots just scattered around. 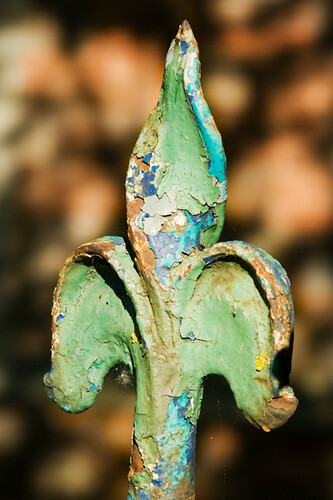 I would like to incorporate some of the whimsy and Victorian character of the building but also want to reuse materials. Chinese objects were very popular during the Victorian era. 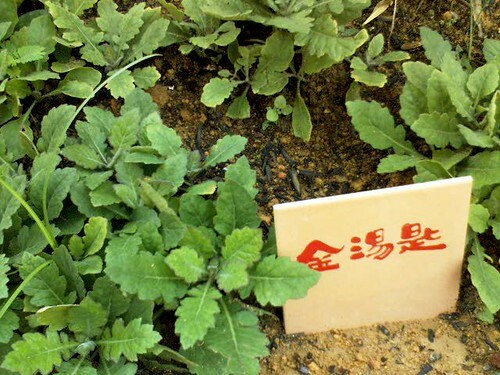 I prefer other styles but I really enjoy the idea of using Chinese herb markers like in the photo above. When I look down at my current space, these are some of the other elements I imagine. Patio Entrance, originally uploaded by Laurie York. Adorned in Rust She Watches, originally uploaded by BeautifulRust. Railing head, originally uploaded by Simon Caplan. my summer love, originally uploaded by damiec. cheeky front benchers, originally uploaded by v.uu (viv). 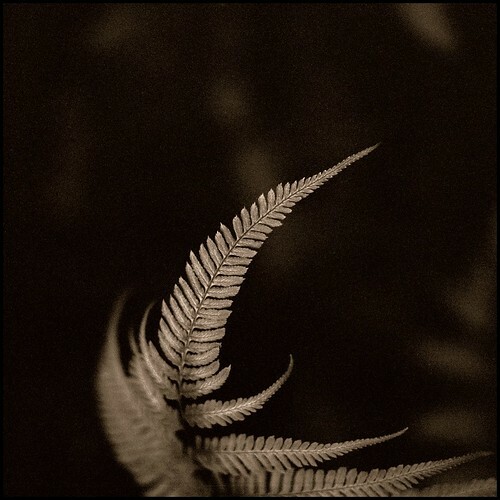 Fern Number 01, originally uploaded by T. Scott Carlisle. 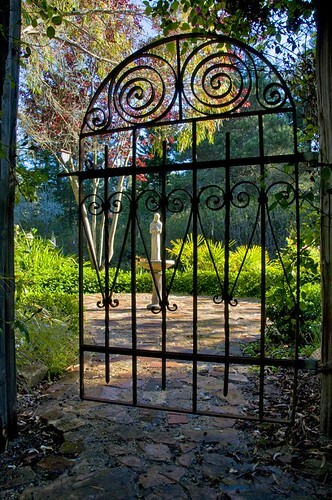 ‘Avant Garden’ , originally uploaded by Earth Designs – Garden Design and Build. Patio, originally uploaded by RCoshow. 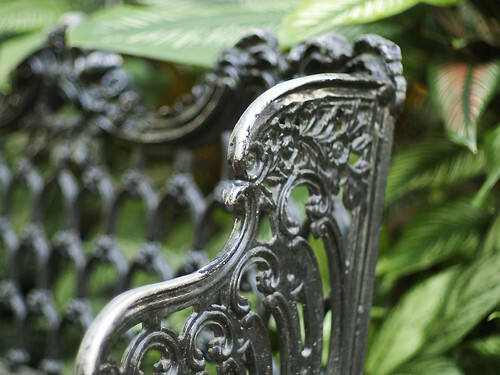 Cast Iron Bench, originally uploaded by tsarandoi. We have a great salvage place near here. Can be a bit hit-and-miss, but that just means you have to go more often to find the 'treasures'. 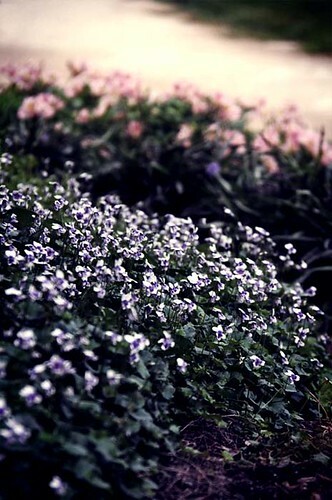 I really love the 'Avant Garden' photo. 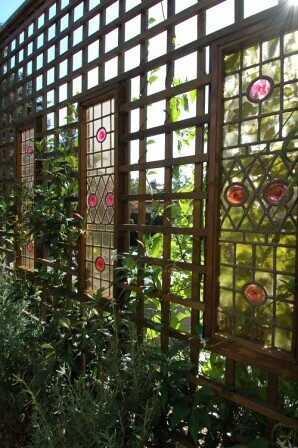 Especially for a Victorian, using stained glass in the garden. It's perfect woven into that divider. We used to live across from a beautiful Victorian in Alameda, and I always envisioned we'd live in one. Closest we came was living in an Edwardian. Oh well…maybe someday. Oh. That is one nice garden you have there. I think this blog will definitely help me deal with the small space I have in my home to create the best garden that will suit my place. 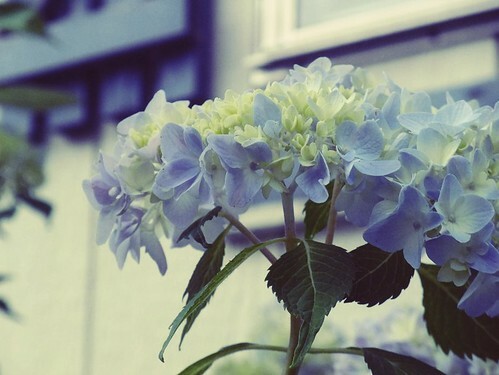 I hope to see more from your gardens.